It’s already happening. Our nights are starting to get shorter and the days are getting coolerl. Fall is just around the corner, which means lots of debris in St. Paul, MN. Every year, we watch our beautiful foliage turn loose and spread all throughout the yard. Then we dangerously climb up on that ladder and hope for the best as we pull out nasty mud and debris from our gutters. Wouldn’t it be nice to not have to worry about that anymore? At Minnesota Leafless Gutters, we have been providing happy customers with maintenance free gutters for over 17 years. Can you imagine 17 years of not having to pay someone to clean your gutters or do it yourself? Our customers 17 years ago sure can! Sure, you can choose just not to clean out the gutters, but if you’ve lived in St. Paul, MN long enough, you know that just won’t work. 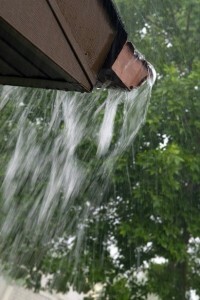 Gutters are a vital component to every residence in St. Paul. This is especially true during the winter months. During the spring and summer, leaves fall and seeds fly, filling up your uncovered gutters and clogging them up. The gutters sole purpose is to help assist in drainage. So as you can imagine, if a gutter is clogged, no proper drainage is happening. Instead, water and snow can build up onto your roof, causing irreparable damage and expensive issues. So how can you get your home to look great, be protected from water damage, but also never have to go and clean out the leaves and debris again? Minnesota Leafless Gutters has your answer: gutter covers. Gutter covers are such a great investment for anyone living in this type of climate. There are so many gutter cover options to choose from. Gutter guards, gutter toppers, gutter screens, and gutter filters are just some of the many options we have to keep your gutters maintenance free. Gutter covers can be used on your existing gutters or attached to new ones when they are replaced. It effectively keeps your gutters clear year round so that the water can run smoothly down the spout and best of all, no leaves or debris! Minnesota Leafless Gutters offers leafless gutter systems that are available in every color imaginable. We aim to beautifully match your home so that your gutters only add value. As the summer comes to an end, embrace the cooler weather knowing that you won’t have to climb up and fish debris out any longer! For more information on maintenance free gutters in St. Paul, MN, contact Minnesota Leafless Gutters today at 612-221-0362.